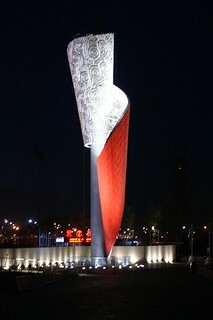 The Olympic Park is one of the most visited sites in Beijing following 2008 Olympic Games. 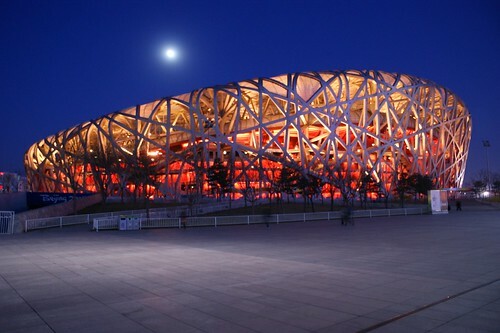 This site groups together two of the famous Olympic Games places – Bird’s Nest and Water Cube. 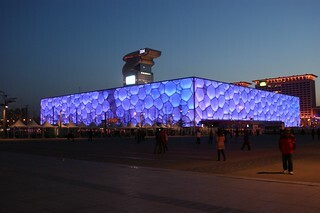 I was there after my working day and I got from the beginning the feeling that China wanted to build an unforgetable place for the Olympic period : extra-large pedestrian streets, Olympic museum, Souvenir shops and of course the stadium and the swimming-pool. 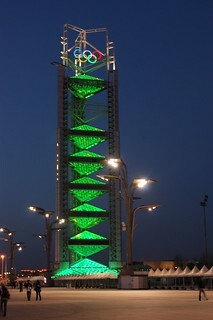 Night fell then I started to feel the Olympic Games magic. I can imagine the crowd yeld on the Bird’s Nest for Usain Bolt races or the water movement on the Water Cube surface… Amazing! 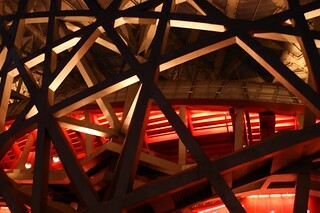 More pictures are available on my Olympic Park Album on Flickr.